Metatarsalgia FAQ's | Podiatry Associates, P.C. How long will it take for a metatarsal fracture to heal? How long it takes for a metatarsal fracture to heal entirely depends on how serious the break is and how well you take care of it. Your full recovery may range from several weeks to several months. The more serious the injury is—cracks in multiple places, broken ends that don’t align, pieces that have to be surgically held together—the longer it will take. Failing to treat it correctly lengthens healing time, too. Whether it’s a simple or more complicated injury, the recovery process follows roughly the same pattern. 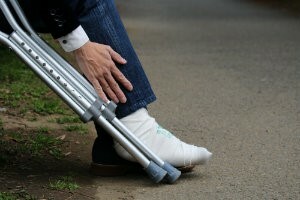 First, you spend a few weeks in a cast or special boot to immobilize your foot. You’ll minimize or completely avoid putting weight on the affected limb during this time. 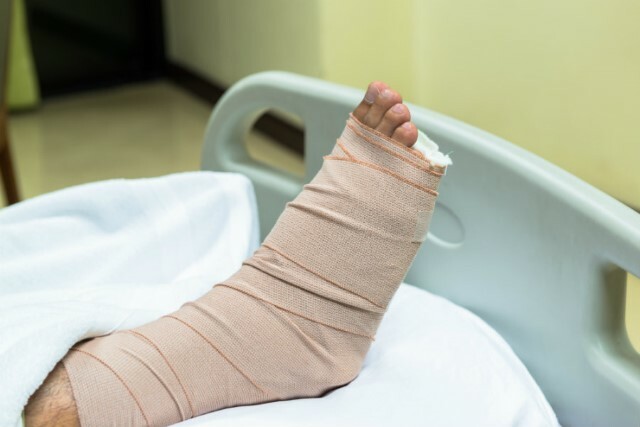 If your fracture required surgery, the immobilization period may last a couple months. After your bones show signs of healing, you’ll slowly begin putting weight on that foot again. You’ll move to wearing stiff-soled and then more comfortable shoes as you recondition your feet for activity. Don’t wait to get help for a fracture—the recovery will only take longer. Let Podiatry Associates, P.C. and Castle Pines Physical Therapy help you. Call (303) 805-5156 to make an appointment. Metatarsalgia is an overuse injury you develop in the ball of your foot. Inflammation and irritation where your metatarsal bones and your toes meet make it uncomfortable to stand or walk around, to say nothing of running or playing sports. Metatarsalgia isn’t a very specific condition, though, since it actually encompasses many other ball of the foot problems, including sesamoiditis and Morton’s neuroma. Many people consider it to be a general descriptor for forefoot inflammation. The good news is, since it’s an overuse injury, conservative care is usually very effective for alleviating pain. Padding the ball of the foot, resting from hard impact activities, and wearing supportive shoes or orthotics are the most common remedies. Icing the ball of the foot when it aches may alleviate irritation and decrease swelling, if there is any. We might recommend anti-inflammatory medications for you, too. You don’t have to live with forefoot pain! Let Podiatry Associates, P.C., help you eliminate it. Call (303) 805-5156 or use our website to make an appointment at our Parker or Castle Pines, CO, office locations. What’s causing the pain in the ball of my foot? Ball of the foot pain can have many different causes, but the most basic culprit is metatarsalgia. Metatarsalgia is a general condition that describes discomfort under the ball of the foot. It’s an overuse injury that causes inflammation, burning, and soreness where your toes meet your metatarsal bones. Many issues can lead to metatarsalgia pain. Generally, the problem is related to excessive pressure on the forefoot. This can be the result of your natural foot mechanics, like having high or low arches, or an abnormally long metatarsal bone. Thinning of your foot pad tissue can be a culprit, as well as conditions like bunions or hammertoes. The shoes you wear might also be a factor. Fortunately, these are all treatable problems. Let the Podiatry Associates, P.C., team help you eliminate your ball of the foot pain and get back to doing the activities that you love. Call (303) 805-5156 to make an appointment with either of our Parker or Castle Pines, CO, office locations.